From your description, it seems you need to debounce the switch. Since you seem to be using some kind of resistive ladder to read multiple buttons on one ADC port, this will be a little more complicated. Your readButtons(5) function will return 0 unless a change has occurred in the button state. So for the digitalWrite (L2, HIGH); code to be executed you would need to detect two button presses in very rapid succession. I think this must be a bug, as I cannot think of any plausible reason for the code to be like this. Maybe you intend to have presses separated by one second (for example)? I think the problem is the way you apply big delays that prevent the fast scan of the buttons. Not the answer you're looking for? 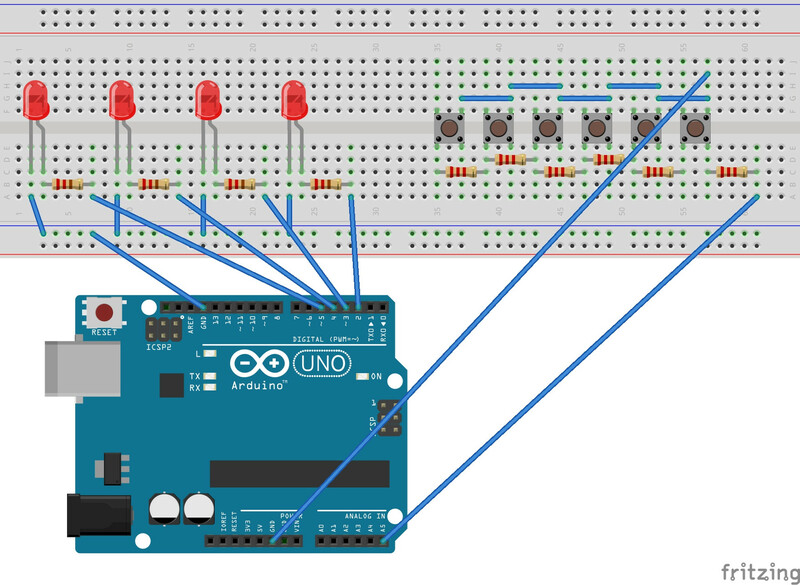 Browse other questions tagged arduino microcontroller led c programming or ask your own question.